After completing a network-cabling scheme for the Thomas Telford Academy, Technical Installation Services was selected to work on four more new city academies sponsored by the Mercers Company of the City of London and the Thomas Telford Academy. The Walsall City Academy, Sandwell Sports & Business City Academy, and, more recently, Madeley City Academy and the new Hammersmith City Academy now all feature state-of-the-art IT, voice and audio-visual networks, providing a richer teaching and learning environment for students and staff. 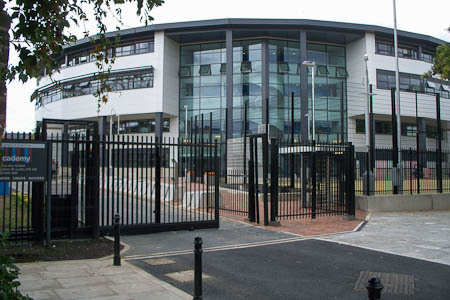 Madeley City Academy in Telford, reopened its doors in September 2009 with a brand new, state-of the-art building that is fully equipped to aid students and teachers in teaching and learning. Classrooms are equipped with a display and sound system for teaching, either interactive boards and projectors, or plasma display units, and a bank of computers to aid student learning. 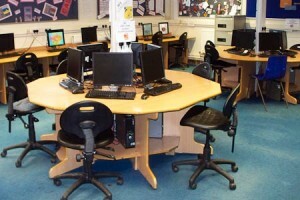 There are also five fully equipped ICT suites, and a CAD/CAM Design and Technology. The building also benefits from a cutting-edge theatre facility for assemblies and presentations, as well as a video-editing suite and recording studio, which the school uses to deliver video broadcasts to staff and students. Student safety is guaranteed with approximately 100 CCTV cameras throughout the facility to monitor the site, corridors and student cloakrooms. Installation of Scion audio-visual control system to enable AV systems to run over category 6 cables. Technical Installation Services was responsible for the design, installation and commissioning of a similar scheme for the new Hammersmith City Academy building which was completed for the new 2011/12 shool year. The installation is an end-to-end AMP NETCONNECT solution, featuring category 6 horizontal and OM3 fibre optical backbone cabling, along with audiovisual and TV cabling, overhead projectors and smart interactive whiteboards, Samsung interactive plasma screens, external fibre optical CCTV cables, and IFS fibre optical to RS 485 interface modules for video, data and redwall. AMP NETCONNECT has continued to be our leading supplier of infrastructure cabling solutions for these very highly specified projects. This is down to the quality and reliability of their products, which are covered by a 25-year performance warranty for materials and labour.